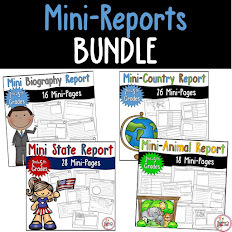 I have a fun activity to do with the American flag and the Pledge of Allegiance. 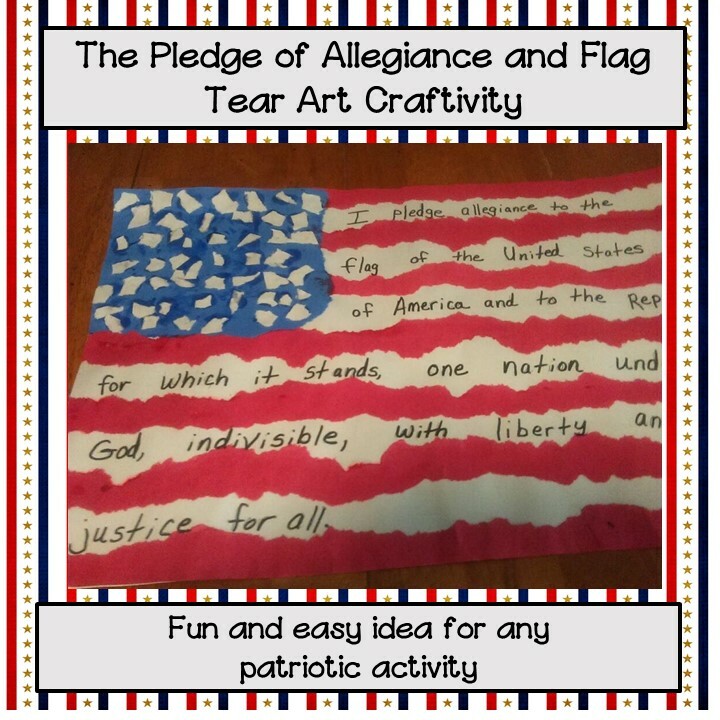 Students use tear art to make the flag and then write the words of the pledge on the white spaces of the flag. 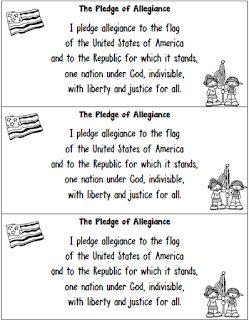 Then have student write in PENCIL the words of the Pledge of Allegiance on the white stripes of the flag. 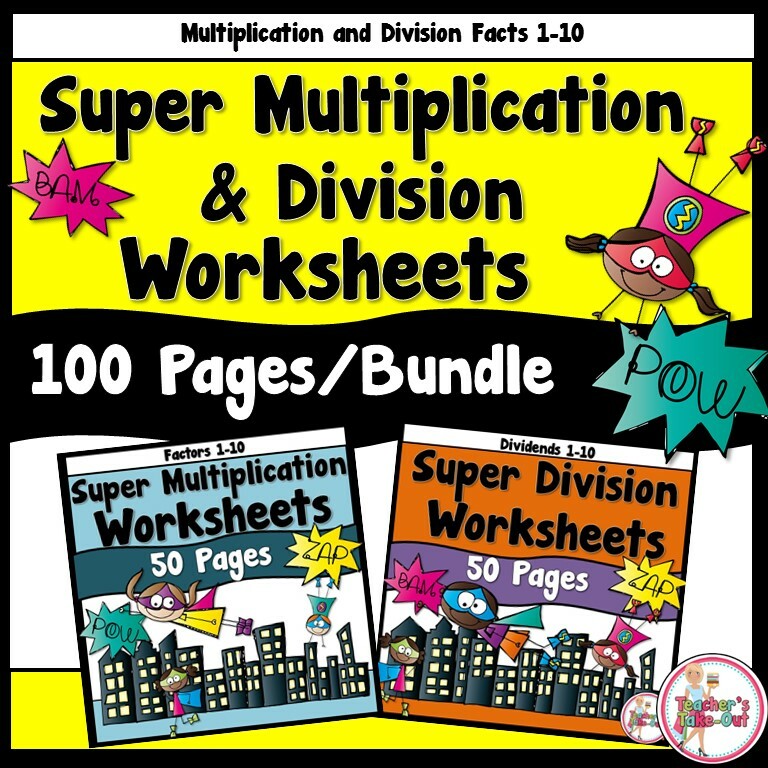 Then they can go over their pencil marks in black marker. 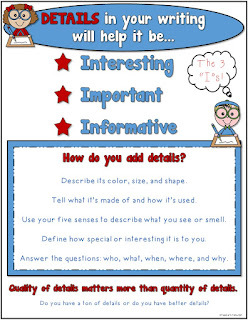 These are really cute hung in the hallways and in classrooms. 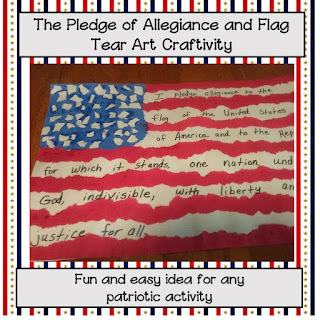 Use this FREE guide to give to students to make it easy to copy the words onto the tear art flag. 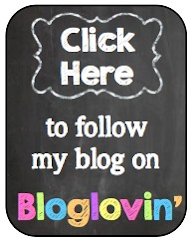 Just click the picture to the left to download this freebie. 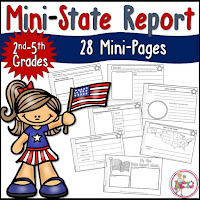 This is a fun and easy educational activity to do anytime or during any patriotic holiday! 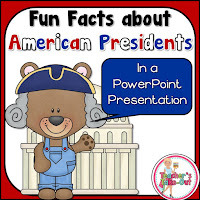 Try this PowerPoint Presentation with some fun facts about all 44 American Presidents! 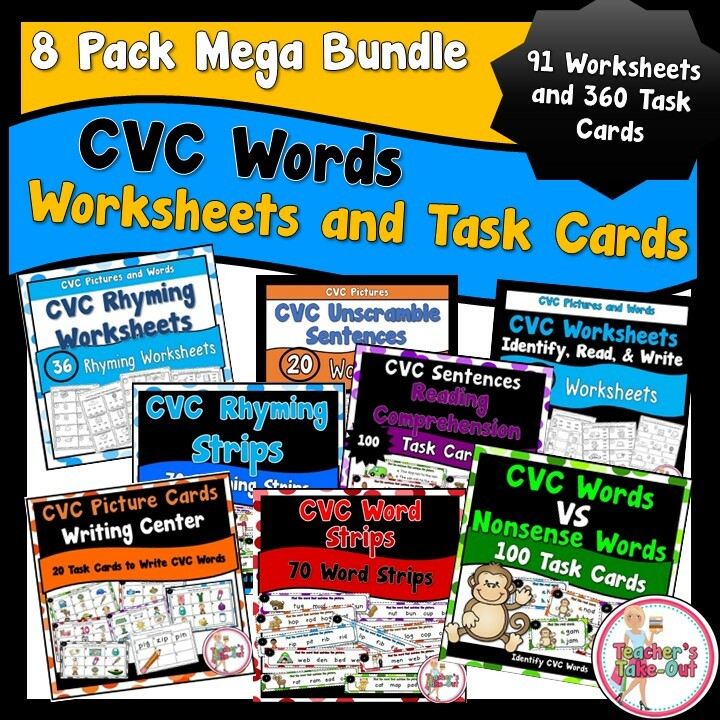 This presentation is perfect for any classroom. 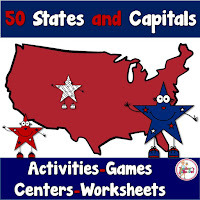 Need some fun ideas to learn the states and capitals? I also have I Have...Who Has from the pack above all on its own. 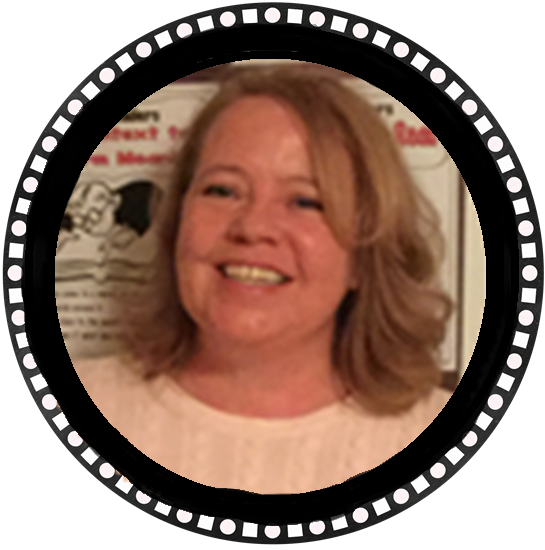 Click below to read more about it. 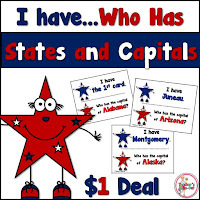 Are you learning about states? Try this Pinterest Board already full of American Holiday Freebies!